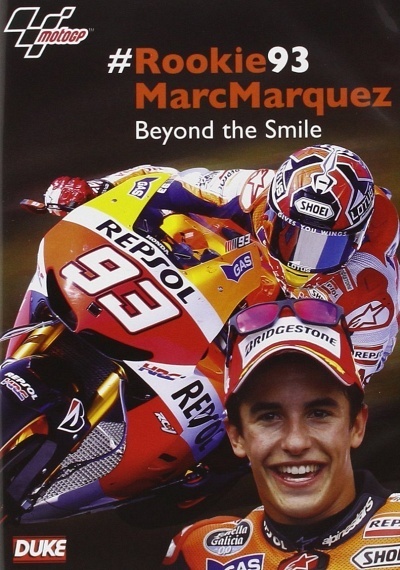 #Rookie93 Marc Marquez: Beyond the Smile :: Movie Information :: RabbitTV GO! This documentary takes a look at Marc Marquez's record-breaking first season in MotoGP™, where he proved himself as the best newcomer of 2013. The rider from Cervera in Spain, is a former 125cc and Moto2TM World Champion and certainly has made his mark in the big leagues. Fighting for the title all the way with team mate Dani Pedrosa, two-time World Champion Jorge Lorenzo and his childhood hero Valentino Rossi, Marc's not allowed himself to be overawed or edged out. In addition to an interview with Marquez himself, it also features the views of some of the key people surrounding him, as well as some insight from his direct competitors out on track they re not all fans!